Tony has over 20 years of experience in the outdoor education and adventure sector in Australia. Tony specialises in regulatory system analysis and has presented at conferences, winning the best paper award at the 2017 Ergonomics and Human Factors conference in the U.K. His practitioner experience has given him a grounded understanding of the issues associated with current approaches to safety management and regulation. 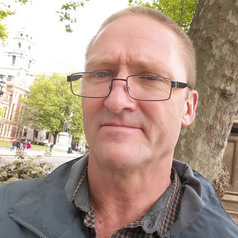 Tony's research includes projects on rail safety and security with the USC Centre for Human Factors and Sociotechnical Systems and he has been awarded a faculty research scholarship.